Many years ago, Clara bought a home. Since she was very pleased with her home, she bought stock in the company that built the home. Over the years, Clara's stock has increased in value. Clara: While the stock has gone up in value, I am concerned about the stock market. I am getting closer to retirement, and I think it would be much better to have a good fixed return rather than worrying about the ups and downs of the market. 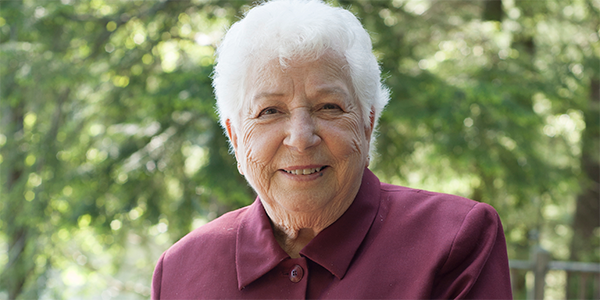 Clara called her favorite charity and discovered that with a charitable gift annuity, she could receive a return of almost 6.4%, based on her age. This fixed payment was in addition to a large income tax deduction. Clara decided to transfer $10,000 of appreciated stock to our organization. Clara: I am delighted with my gift annuity. I receive 6.4% and saved over $1,500 in income taxes. This plan has been great. Best of all, I no longer have to watch the markets go up and down. I now have peace of mind. The payout for charitable gift annuities will vary depending on your age. Please contact us to inquire about your potential payout rate or if you have any questions about charitable gift annuities.